This is the working https://www.tradebit.comopo clone is a scalable & fully-featured application that lets you create the ultimate profitable online penny auction website. Manage your entire online auction operation: create new auctions within seconds, set up an auto bidder so your products sell for the price you want, add new pages using the built-in CMS (Content Management System), and much more! price increasing by a set amount. The time increasing by x number of seconds (you can change this time in the CMS) every time a bid is placed. The ability for members to login, update their account, purchase more bids and pay for their won auctions. e.g. pending, running, ended and completed. View users bidding history, purchased bid packages, add free bids to the user and refund bids for the user. Manage the entire website content anywhere in the world with an internet connection! Manage the website categories, add, edit and delete new categories, which can be unlimited levels deep. Edit general website settings including turning on and off various features at a click of a button. Paying per bid and the price increasing by a set amount. The time increasing by 10 seconds (you can change this time in the CMS) every time a bid is placed. General pages such as terms and conditions and a help section which you can edit. Add your own pages at free will. Paypal as the payment gateway by default. Fixed price auctions and variable priced auctions are also available. Ability to give users free bids. Ability for users to receive free bids for registering, for winning their first auction and for buying bid packages for the first time. Add, edit and delete articles for the latest news page. View the winning bidder and update the status of the auction e.g. pending, running, ended and completed. View, edit, add, delete and suspend users. Manage the entire website content such as the terms & conditions and help page content. Update the latest news articles and add new articles. Limits on the number of auctions a user can win in a month. Powerful Bid Butler (automated bidding system) the ability for users to book their bids in advance. These product are perfectly, unencrypted, viral checked, No back door entries, complete genuine product. These generally sell for hundreds of dollar on script website, Ebay and other websites. we are offering you at a very low price. Please check the features and server requirements before you order. Because this is a digital product, there are no refunds once the product is https://www.tradebit.comase keep this in mind There are no refunds for this product and Complete set of installation information is provided with this product. If there is problem with the script then it is from the server side as shared hosts have a lot of restrictions; prefer dedicated host service. We do not provide any Installation and Product Support. If You Need assistance with installation we recommend you https://www.tradebit.com , there you can get installation support for a low https://www.tradebit.comn you are Buying this product you are agreeing the the above terms and conditions any violation will be dealt with appropriate action. 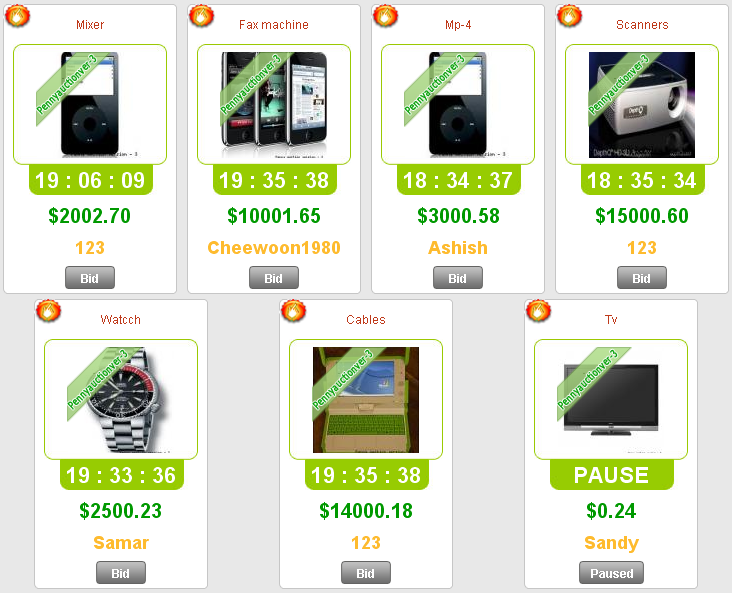 working 100 Swoopo Telebid Auction Script Software Php Ajax auction script;penny clone;penny script 93900370 7.00 pennybid Fresh Download Available!